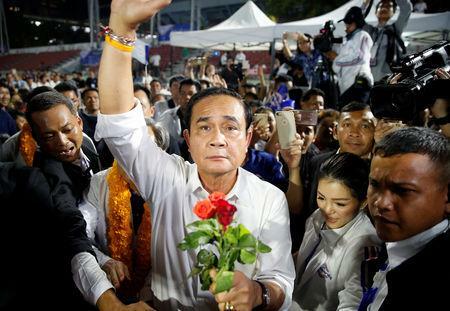 BANGKOK (Reuters) - Thailand's election contest between military-backed government and opposition parties played out in duelling images on Friday, two days before the first vote since a 2014 army coup. 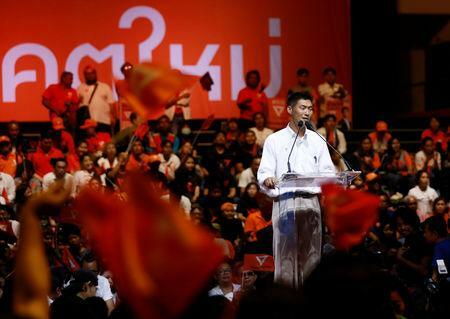 "We will win for sure," Thaksin, a telecommunications tycoon whose loyalists have won every election since 2001. He did not elaborate in the video clip put online by Thai media outlet Khaosod English but urged guests at the reception to vote. Seated beside Thaksin was the elder sister of King Maha Vajiralongkorn, Princess Ubolratana Rajakanya Sirivadhana Barnavadi, who shocked the country last month by accepting a Thaksin-linked party's nomination for prime minister. 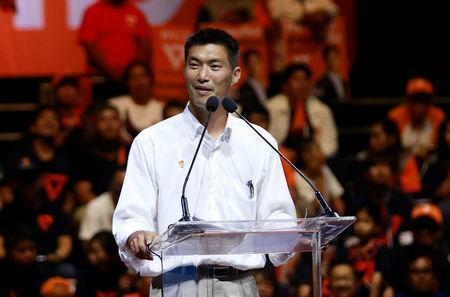 Backers of the military have warned Thailand could be plunged back into political unrest in case of a return to power for Pheu Thai, which has been under investigation for "outside influence" by Thaksin, an inquiry that could see it disbanded. Palang Pracharat adopted a new slogan ahead of the vote that features Prayuth's nickname, "Choose peace, choose 'Uncle Tu'." Pheu Thai, is leading the charge for a "democratic front" of parties against Palang Pracharat, a new military proxy party backing Prayuth.